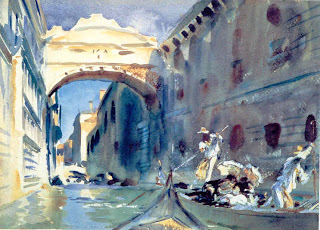 I recently learned there are three John Singer Sargent paintings in my own backyard (almost) -- at the DeYoung Museum! Two of them were already familiar to me, and I love them. The first is titled "The Dinner Table", with Mrs. Albert Vickers in the center and her husband not too visible on the right. Sargent painted the whole Vickers family in 1884 during the summer after the scandal and debacle of "Madame X" sent him running from Paris to England. The second painting is a later watercolor of a man fishing in a mountain stream. 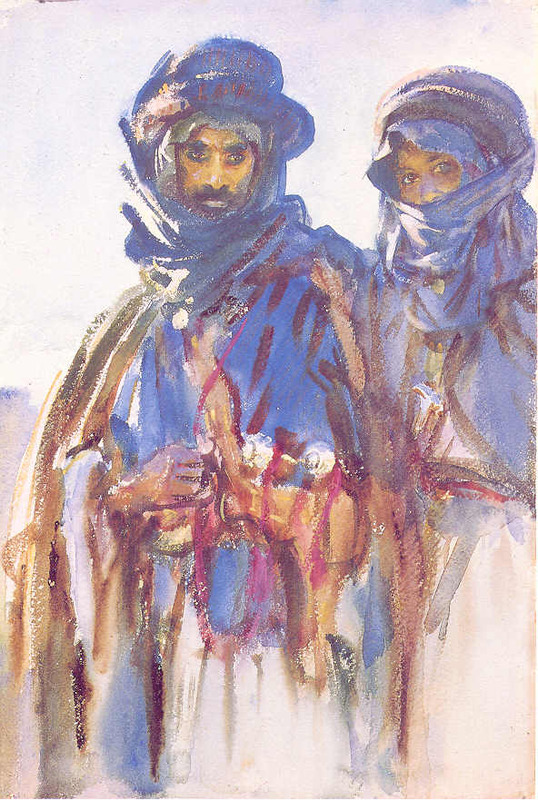 After about 1906, Sargent took no more orders for portraits, though he painted or did charcoal sketches of friends; he concentrated on watercolors which he excelled in. The third painting, below, is of Caroline de Bassano, Marquise d'Espeuiles; the portrait was painted in 1884. As usual, Sargent painted the clothing with a fine eye for lacy detail and satiny folds. From the expression on the Marquise's face, however, I'd say he kept her standing there a little too long for her liking! The Brooklyn Museum of Art is about to open a major exhibition of John Singer Sargent's watercolors, from April 5 through July 28th. As described on the museum's website: "This landmark exhibition unites for the first time the John Singer Sargent watercolors acquired by the Brooklyn Museum and the Museum of Fine Arts, Boston, in the early twentieth century. The culmination of a yearlong collaborative study by both museums, John Singer Sargent Watercolors explores the watercolor practice that has traditionally been viewed as a tangential facet of Sargent’s art making. The ninety-three pieces on display provide a once-in-a-generation opportunity to view a broad range of the artist’s finest production in the medium." 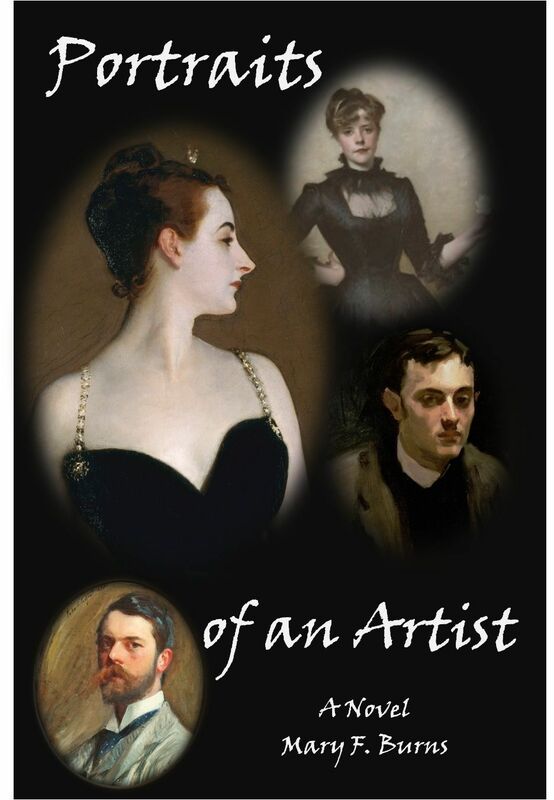 I'm delighted to add that the museum gift store will have my novel, Portraits of an Artist, in stock and for sale during the exhibition.Thanks, Brooklyn!